We are so excited to share these stories of love and happiness with you! 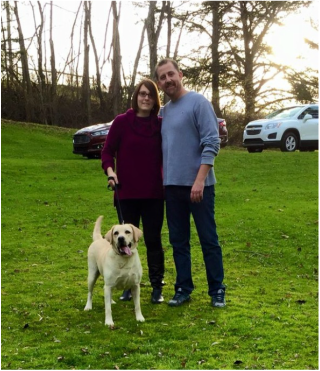 This sweet boy came to SPAAR with a myriad of physical health concerns, including complications from Lyme disease and significant arthritis setbacks. While his recovery road included a fantastic stay with his foster mom and sister pup, we knew we had to find the right adopter that was knowledgeable and experienced in senior animals, Bernese Mountain Dogs, arthritis, and blood-borne illnesses. Enter Kaitlyn. Growing up with BMDs that had physical ailments, she immediately fell in love with Levi when she saw his story and reached out to us. As you can tell from his photo, he is completely spoiled and loved. He goes to work with his new mom, is in a regular physical therapy regimen, has gained some healthy weight, keeps his blood work in check, and even took in a spa day. Annie decided that she never wanted to leave. Thank you to Amy, Kathi, Quill, and Zoe for adding this bundle of energy to your family permanently. ​As you can tell by family photo day, there's never a boring moment with this nugget. Who says a 16-year-old blind and deaf 5-pound toy poodle shouldn't know love, comfort, and safety? Her new mum works from home and spends a lot of time carrying Cha Cha around in a snug wrap to make her feel secure. Nana has been through a lot the past few months, she was surrendered to a shelter, lost her eye to infection and then landed with us at SPAAR. But she's starting off the new year in the best way possible and that's in her forever home. Stevie and Nana are inseparable and Nana goes everywhere Stevie can take her. She even got to attend some Christmas parties! We are so excited for you both, happy tails! Michelle and Adam adopted sweet Brewtus from us a while back, and he sadly passed away in 2018. They also fostered spunky SPAAR Polo, who got adopted. Then Evie and Kimber found their way into their home, we thought, temporarily. But they couldn't give up these sweet girls. Say hello to the newest, and permanent, part of their beautiful family. Sugar hit the "family jackpot," for sure. In her brief time with them already, she's gone on about a thousand walks (Sure, that's a bit of an exaggeration, but she LOVES her walks! ), met a horse (!!! ), traveled on Thanksgiving, helped to decorate for Christmas, sleeps in a big, comfy bed, and even convinced her new mom to buy a bigger couch so they can snuggle more together. Three generations of humans live under one roof with Sugar, so she gets six times the pets, love, and attention. With a face like this, who wouldn't love this big guy? That's how his foster family felt and decided to keep him forever. Tiny little Chai has found a forever home to spoil her! Her days will be spent doing what she loves - cuddling with her mom, looking out the window with her senior kitty sister Lucy, and picking out which dress to wear for the day. We cannot imagine a more perfect home for this sweet pea. After many months in foster and a major surgery, Polo has finally found his forever home. His incredible fosters Michelle and Adam worked diligently on his medical care and his behavior to get him ready for this big day. We know that Polo's new parents are going to make sure he's spoiled rotten for the rest of his life! Happy Tails, sweet boy. A happy "tail," indeed. She now lives with two other pups (including a tripod named Oreo), is learning not to chase the barn cats, and spends her mornings watching the horses. Her new mom and dad adore her! We have to send a very special thank you to her foster mom, Kristin, who made Diamond a part of her family for more than a year. At SPAAR we search for the best family fit and are committed to the comfort and care of our seniors. We wouldn't exist, quite simpy, without our fosters. They're the heart and soul of SPAAR. Sweet miss Maya came to us when her owner couldn't take care of her anymore. Susan and her family were interested in fostering a senior pup and finding a companion for their friendly beagle Rusty. 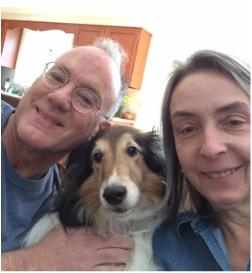 A few weeks later, Susan said, "I was talking to Paul, and he and I are really thinking we would like to apply to adopt Maya - it is unbelievable how well she has fit into our lives." Needless to say, it was a perfect match. A picture tells a thousand words. By the looks of this one, we think this little guy has found the perfect place to call home. He now lives with two senior Boston Terriers, Lily and Oliver. He even has a senior dog stroller, so he can meet his sister at the school bus. Welcome home, Mr. Magoo. You have been - and always will be - so very loved. We knew Pudgie wouldn't be with us long once he was ready for adoption and man were we right! 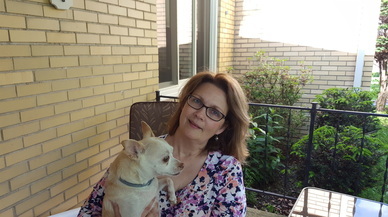 Competition to adopt this adorable guy was fierce but his new mom is the perfect fit. Pudgie gets to be the king of his castle and has the run of the house and his very own back yard to sun bathe in. Happy life Pudgie and congratulations! Ebony was with us for quite a while getting healthy and ready for adoption but once she was everyone wanted to adopt her! We know that her new home is the perfect place for her though. Her new mom is completely dedicated to making sure Ebony has nothing short of the perfect life! Her entire family is helping to make sure Ebony has the best of everything. We just love adoptions where the whole family is involved! Congratulations Ebony and family!!! 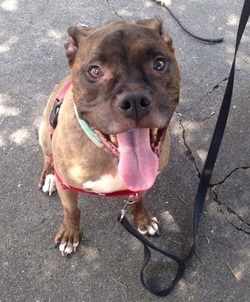 Percy has been with SPAAR for almost a year and has been in a foster home for almost 2 years! Percy was a very special adoption for us because he is what we call a "ghost kitty." He's very nervous and hides a lot, it takes him a really long time to learn to trust people and come around to them. He loves to play at night and get lots of cuddles when it's bedtime. He also couldn't be adopted into a home with other animals. Well, he found an amazing lady who loves him for his crazy quirks and is willing to wait for him to love her, however long that may take. Congratulations to Percy and his new mom. We could not possibly be more excited!!!!! Blanche was surrendered to a local shelter. They determined that she was having some issues with her kidneys and would not be able to become adoptable. So they called us, and an incredible foster stepped up to take Blanche in and agreed to foster her for hospice. 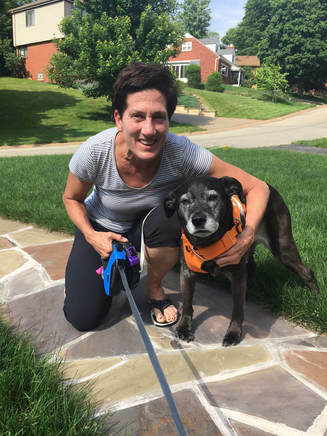 It came as quite a surprise when we found out that Blanche's kidney issues are manageable, and she's living a full senior life with her (foster) mom! Beauty has been with SPAAR for almost a year and has been in a foster home for almost 2 years! When we first met Beauty we weren't sure that we would find a home for her at age 16, we thought perhaps she might need to be a hospice cat. But after lots of love in her foster home and plenty of vet visits and medication, at age 17, our gorgeous girl found a home of her own! Carmen was looking for a new companion and Beauty fit the bill. These 2 are a perfect pair, thank you Carmen for giving Beauty her perfect forever home. Brutus was surrender to a rural shelter in PA after being removed from a home where he was being severely neglected and starved. He arrived at SPAAR with severe skin infections, ear infections, anxiety and concerning bloodwork. After spending 2 months with his foster family healing and getting healthy Brutus became a charmer who is loved by everyone he meets (dog, cat and human alike). 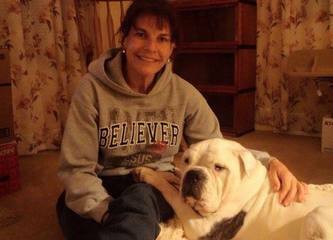 After going through so much with Brutus his foster family just couldn't stand to give him up! Congratulations to Brutus and his new family, it's truly a rags to riches story. After spending almost 6 months in a foster home getting healthy and ready for adoption, Wickett and Vader have a home of their very own! Their new family includes proud mom and a new brother, a 12 year old Shih Tzu named Kokomo. Vader spends his days sleeping on his mom's lap while she reads, and Wickett follows her everywhere she goes. Congratulations to the whole family! Maggie spent over 6 months with us working through her medical issues and looking for a home. With her medical needs we were hunting for a home who could afford her medical care in addition to spoiling her. Our new friends at Gray Paws Sanctuary fit the bill! 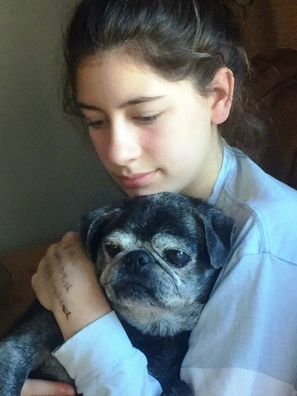 They are a sanctuary home environment for senior dogs and we know Maggie will be so happy with them. Congratulations, maggie! We know you'll brighten the day of your new family every chance you get. 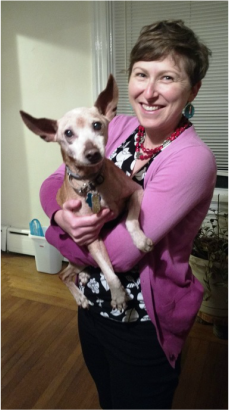 After eight months in SPAAR's care, Lou, the lovable senior Miniature Pinscher, has found his forever home. The adorable pup with the big bat ears and even bigger personality now snores the day away in his choice of many dog beds that he has all to himself. Congratulations, Lou! We know your new mom and dad will spoil you rotten. 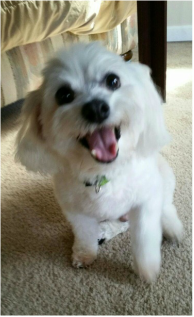 Jules spent just a few short weeks in his foster home before they realized that they couldn't live without his happy smiling face! So after getting a fresh haircut he was officially adopted. Congrats to Jules and his family! Abby went from being adandoned at a local shelter to being a beloved member of a family in just a few short months. She was adopted into the same home as Cheby! Our oldest SPAAR adoptee. She lives happily with her mom, Cheby, 2 cat siblings and a human sibling. We are so happy for our girl! Snoopy spent months with us getting healthy after our vet discovered that he had bladder stones. His new mom and brother are the best family for him we could imagine. They love all of his quirks, grumpiness included! Congratulations to Snoopy and family! After being in rescue with SPAAR for 1 year and 1 month, almost to the day, Tilly found her forever home. She'll share her retirement years with 2 other felines and 2 of the most patient and amazing cat parents we've ever met! ​Congratulations to Tilly and family! 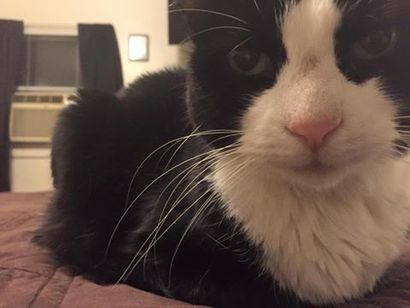 Lucky lost his home at the ripe old age of 14. Some wonderful people at a local animal shelter thought he deserved a second chance so he became a part of SPAAR and found his forever home just a few months later! He now shares his home with his new mom and 4 kitty siblings! Congratulations to Lucky and his new family! ​Ozzie became a SPAAR dog because of a heart murmur but we knew he was a tough little guy who could overcome anything! After some testing and love in a foster home we determined that Ozzie was healthy enough for adoption. His new mom and cat brother Sullivan love him to pieces. His mom said she was never a little dog person until she met Ozzie, he's just that kind of amazing. Congratulations to Ozzie and his new family! Cheby came to SPAAR a terrified 16yr old who had been dropped off at a local shelter when her family was moving. Now? She's a true rags to riches story! She absolutely loves her new human brother and gets along wonderfully with all of her furry siblings, too. She'll be sharing her home with 2 other senior dogs and 2 cats (cat pictured: Oliver). Congratulations to Cheby's new family and THANK YOU for opening your hearts to this amazing little girl. Cymba has been renamed Sadie and she is the light of her new mom's life. She loves going for walks, playing with the neighborhood dogs and just hanging out with her new family. We can truly say this was the perfect fit for our girl. Congratulations Cymba (Sadie) and family. Our darling girl didn't have to wait too long to find her forever home! Her new family met her and it was love at first sight, she even gets along with their resident cats (they've already taken over Alyssa's dog bed). We are so happy for you sweet girl, your days of bouncing from home to home are over! Trinny was the very first animal SPAAR had the privilege of rescuing and she is the first animal adopted in 2016! We are so happy that she has found her forever home with her wonderful mom and kitty brother Norman. They are all very lucky to have found one another. Congratulations to Trinny and her new family! 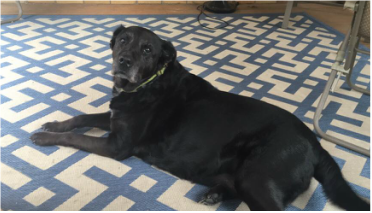 Norman's family lost their beloved senior dog last year. When they read Norman's profile on Petango they just could not believe it, he sounded so much like their previous senior dog that they had to meet him! Norman turned out to be very different than their previous dog but they loved him just the same! He made himself right at home in their house and their hearts. Star's world came crashing down when her owner passed away suddenly. But this story has a happy ending, her foster mom met her and fell head over heels. After losing her own dog just a few weeks prior to meeting SPAAR these two girls healed each others hearts. Lady went into foster and just a few days later the foster family realized they just couldn't live without her! Lady is happy and spoiled in her forever home, she gets to go to camp and even gets to sleep in bed with her new parents. ​From Homeless to Princess (Elsa that is), Buttons found her happily ever after with her new family! She even has a new baby brother who is a registered Therapy dog! This smiling crew is Sampson's new forever family. 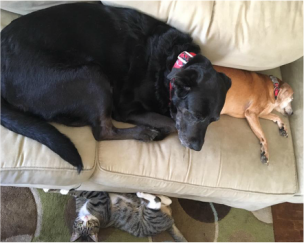 They fostered Sampson for 3 weeks and realized that he was a perfect fit and they just couldn't part with him. Foster failure is the best kind of failure! The pictures might not be perfect, but Max and his new family were the perfect match. He now lives with his human parents and a doggy sibling named Sparky. This big smile belongs to ADOPTED Ruger! 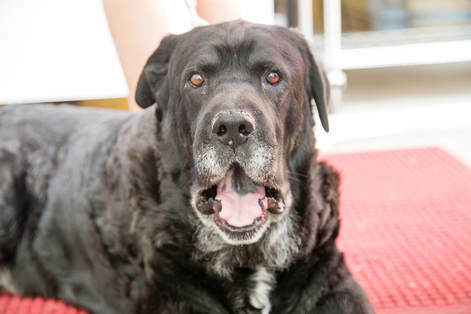 SPAAR's first senior boy will now spend his dog days with his new dad, going on adventures and living a life of luxury. He's already been to the Pittsburgh Arts Festival and has more adventures planned for the future. Beau was surrendered to the Animal Rescue League at the age of 10 because he wasn't getting along with another dog. He quickly became a volunteer favorite and went home to be fostered through his kennel cough...but never returned to shelter life. He now lives with fellow senior dog Sadie, three cats, four kids, and two adults, including Cassie Conti, SPAAR's manager of social media. Beau's favorite activities include sleeping, eating cheese, being brushed, and greeting his family when they come home. Crusha was surrendered to the Animal Rescue League (ARL) at the age of 8. She had a large lump on her side that the medical staff diagnosed as a mast cell tumor. Due to her cancer diagnosis, she was unable to officially be adopted out to the public. Laura Brocklebank, SPAAR co-founder and ARL volunteer, decided that Crusha would just have to become her family's dog. She now lives with two other dogs, Dino and Millie, and a rotating cast of foster animals. Crusha, proving old dogs can learn new tricks!